Nusret Gökçe owns a chain of Nusr-Et steakhouses, with locations in Turkey and one in Dubai. Because of his unique, tender, sensual preparation of his meat—many examples can be found on his Instagram—he’s recently become something of a meme on the American internet. 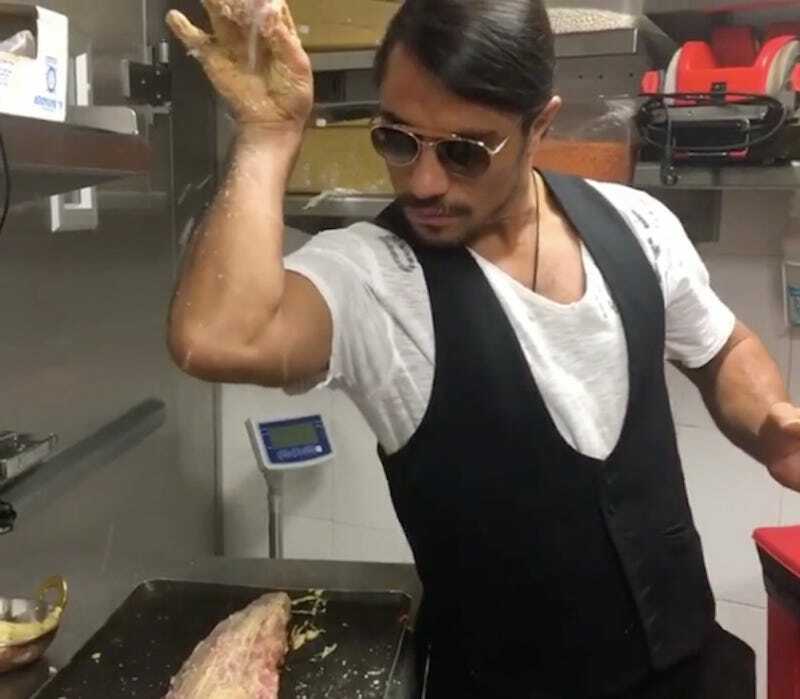 Gökçe’s meat-cutting process seems unnecessarily ostentatious, especially his salt sprinkle at the end in which he flexes his bicep as the coarse grains bounce off his arm, but he really makes every movement count. In a city of excess like Dubai, this seems tame. This man is practically horny for meat, and who can blame him? The New Thing Teens Are Doing Is Called The "Mannequin Challenge"